/ Modified feb 13, 2013 8:06 a.m.
Key Tucson team members of the OSIRIS REx Asteroid Sample return mission will be heading to Denver in early March for the final review of Phase B of the mission. 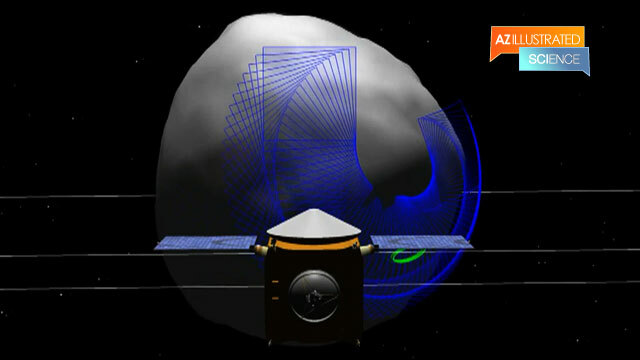 OSIRIS REx's mission is to study a near-Earth asteroid, grab a piece of it and return the sample to Earth. It is headquartered at the University of Arizona. OSIRIS REx stands for Origins Spectral Interpretation Resource Identification Security Regolith Explorer. “Each review is chaired by a member of the Goddard Standing Review Team," said Dante Lauretta, the project's principal investigator at the UA. "This is a board of independent advisers and assessors that was assembled by the (NASA) Goddard Space Flight Center and then he pulls together experts on the particular system." Approval of the review will allow the mission to proceed to the next phase. The carbonaceous asteroid that scientists call 1999 RQ36 was chosen because it is believed to be a direct remnant of the original building blocks of terrestrial planets, and because there is a one in 1,800 chance it will collide with Earth in a century and a half. The project is scheduled for launch in 2016, and the acquired sample is expected back on Earth in a decade.